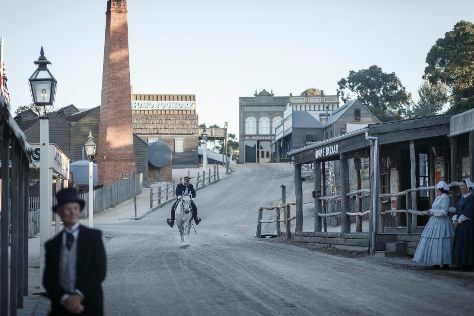 Explore Bendigo's surroundings by going to Ballarat (Ballarat Botanical Gardens & Sovereign Hill), Echuca (Bandicoot Brewing Pty Ltd, Port of Echuca Discovery Centre, & more) and Spas (in Daylesford). There's much more to do: admire the masterpieces at Bendigo Art Gallery, admire all the interesting features of Central Deborah Gold Mine, contemplate the waterfront views at Lake Weeroona, and admire the striking features of Sacred Heart Cathedral. Before you visit Bendigo, use our trip planner to discover what you can do and see there. Sydney to Bendigo is an approximately 6-hour combination of flight and train. You can also do a combination of flight, shuttle, and train; or drive. Finish your sightseeing early on the 6th (Sat) to allow enough time to travel to Wollongong. Wollongong, informally referred to as "The Gong", is a seaside city located in the Illawarra region of New South Wales, Australia. Explore Wollongong's surroundings by going to Leura (Leura Cascades & Everglades Historic House and Gardens), Katoomba (The Three Sisters, Blue Mountains, & more) and Blackheath (Gallery Blackheath & Govetts Leap). There's still lots to do: explore the world behind art at Norman Lindsay Gallery & Museum, take in nature's colorful creations at Wollongong Botanic Garden, take in the dramatic natural features at Kiama Blowhole, and examine the collection at Historical Aircraft Restoration Society. To see traveler tips, maps, ratings, and more tourist information, refer to the Wollongong trip planner. Traveling by combination of train and flight from Bendigo to Wollongong takes 7 hours. Alternatively, you can drive; or take a bus. In April, daily temperatures in Wollongong can reach 27°C, while at night they dip to 13°C. Wrap up your sightseeing on the 10th (Wed) early enough to drive back home.